First invented more than a century ago, headphones were the only way that music players, radios, and other sound-producing devices could be listened to as speaker technology came much later. The original headphones used powerful clamps that often produced discomfort and could only generate very low quality sound reproduction. Today, a number of breakthroughs in headphone technology mean that today’s headphones are lighter, more reliable, and can deliver a far higher fidelity sound reproduction at a fraction of the cost. One of the most exciting developments in headphone engineering was the invention of noise cancellation technology. Noise cancelling headphones work in a number of different ways in order to eliminate or reduce ambient noise and allow users to enjoy a fuller, more rich aural experience. 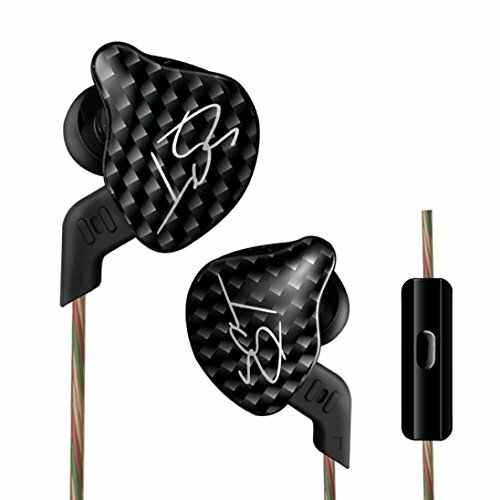 Some headphones employ what is often referred to as a “closed back” design where the physical construction of the headphones serves as an insulator. This method of reducing and dampening ambient sounds is sometimes referred to as “passive” noise cancellation. Some of today’s leading headphone manufacturers also employ forms of “active” noise cancellation. Using electricity, circuits are activated that sample ambient noise and then generate tones in a phase-reversed form to effectively cancel out the competing ambient noise. 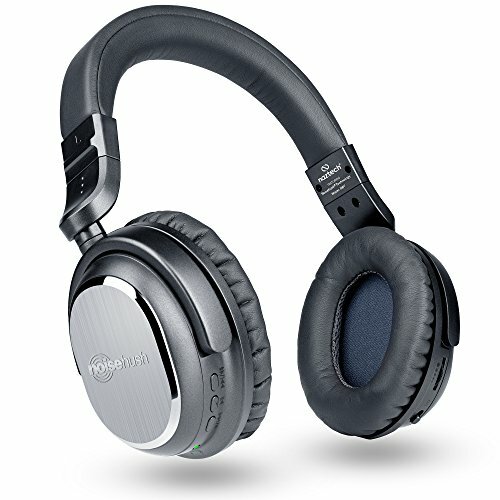 Some of today’s best-selling noise-cancelling headphones use a combination of passive and active techniques in order to provide a richer, more high-fidelity listening experience. Depending on your needs, it may be better to invest in a pair of headphones that comfortable sit over the ear, using physical techniques to block out exterior sound. The other popular type of headphone is designed to be inserted directly into the ear canal, delivering high fidelity sound in a very lightweight and small device. Noise-cancelling headphones are extremely popular with players of video games as they often come with a built-in microphone for hands-free communication with competitors and teammates. Noise-cancelling headphones with built-in microphones are also very useful when connecting them to a mobile phone or other device where it is essential to have a hands-free way of communicating with others. 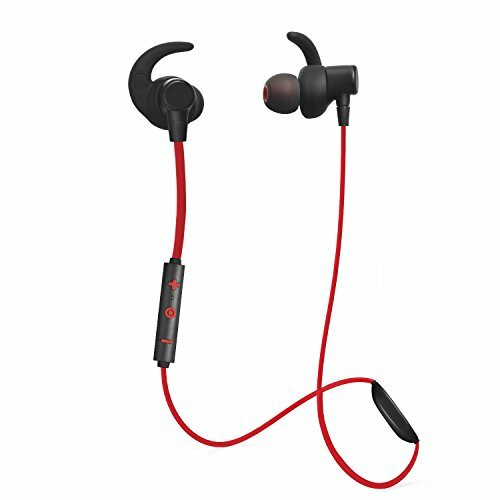 Depending on your needs, you may prefer to have a completely wireless listening experience, using the built-in Bluetooth capabilities of your headphones to connect to your mobile phone, computer, and other devices. In other cases, it may be preferable to use a corded connection to ensure that high-quality sound is faithfully transmitted from the device of your choice with no risk of losing a wireless connection or pairing. Don’t let the manufacturer’s name fool you – the DRUnKQUEEn noise-cancelling headphones come packed with useful features. Available in a number of delightful designs, the DRUnKQUEEn headphones feature Bluetooth 4.1 technology for very efficient and reliable wireless connections. On a full charge, the DRUnKQUEEn headphones can be used continuously up to 20 hours. 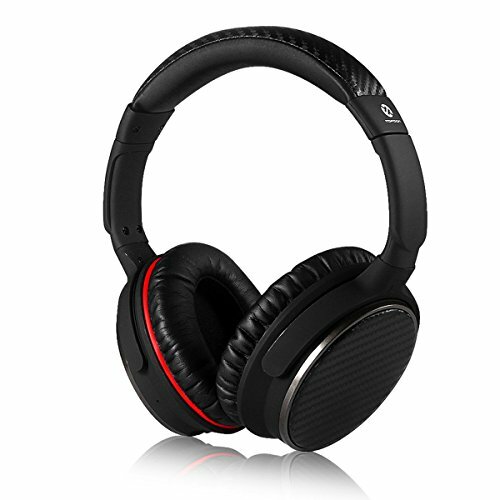 These headphones also come with 3D sound software to allow users to immerse themselves in a fully rich sound environment. They have a fully flexible, twistable, and extremely comfortable headband design for increased comfort during long gaming or listening sessions. With a sleek in-ear design, the Gotd KZ ZST feature both a super armature and dynamic unit to deliver high-fidelity sound. 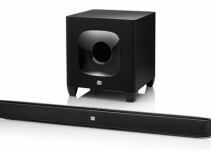 The Gotd KZ ZST delivers when it comes to reproducing bass and low-frequency sounds while the detachable and replaceable 1.2 meter cable ensures reliable connectivity anywhere you take them. The Gotd KZ ZST has silicone earbuds for an ergonomic listening experience via a standard 3.5 mm headphone connection. 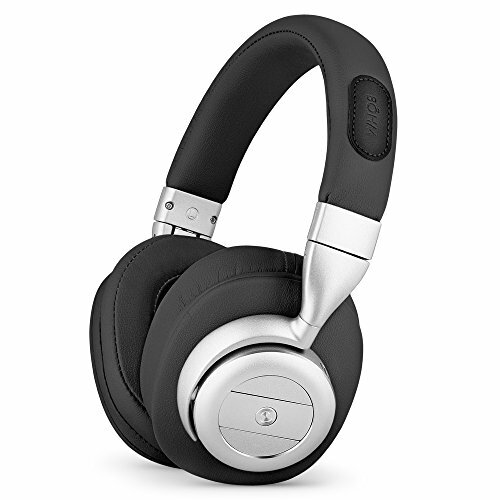 These stylish black and silver headphones from Dylan employ both passive and active noise cancellation technology to deliver full, rich sound while keeping background noise under 20 decibels. Ideal for travel, work, or rest, the Dylan headphones come with a rechargeable battery that can deliver up to eight continuous hours of listening enjoyment. The lightweight design, swivelling ear cups, and soft headband ensure maximum ergonomic comfort during lengthy listening sessions. The Dylan headphones come with a USB charge cable, dual-plug adapter for use on airlines, a standard 3.5 mm audio cable, user manual, and convenient hard travel case. With a lovely white and tan design, the Naztech i9BT deliver high quality sound while blocking out ambient noise using the company’s patented Noisehush technology. The Naztech i9BT can be used in either corded mode with the included 3.5 mm tangle-free braided cable or wireless via a secure Bluetooth connection. The built-in 40mm neodymium drivers deliver enhanced bass and a full spectrum of audio fidelity. The Naztech i9BT headphones are powered by a rechargeable lithium-ion battery that can deliver up to 30 hours of active noise cancellation and 15 hours of Bluetooth connections with ease. The Naztech i9BT come with a 1/4-inch gold-plated stereo plug adapter, gold-plated airline plug adapter, micro USB charging cable, hard shell carrying case, and user manual. The Topdon TP550 headphones deliver very high-fidelity audio reproduction using a comfortable over-the-ear headphone design. The Topdon TP550 come with the latest Bluetooth 4.0 technology for easy wireless connectivity to your phone, game, or computer and the rechargeable battery provides up to 18 hours of continuous listening pleasure. The Topdon TP550 has a fully adjustable headband, ear cups with 180 degrees of rotation, and a lightweight design for an ergonomic experience during lengthy listening sessions. The Topdon TP550 has a built-in microphone and call control buttons that allow you to adjust the volume, receive, and end calls with just a tap of a button on the headset. 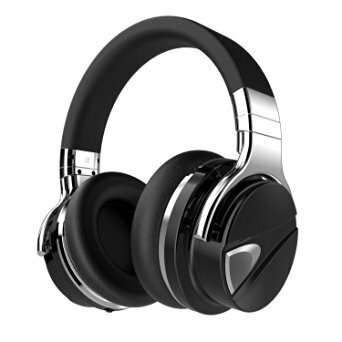 The classic black over-the-ear design of the ActionPie headphones use Bluetooth 4.0 technology to reliably deliver high-quality sound from your favorite device, phone, or computer. The ActionPie headphones come with a built-in rechargeable lithium-polymer battery to deliver up to nine hours of continuous listening and up to 180 hours of standby time on a single charge. The ActionPie headphones also come with a built-in 3.5 mm standard port for connecting to any device via a cord (not included), even when the batteries on the headphones are not charged. The ActionPie headphones are designed to be folded for easy storage and transport. 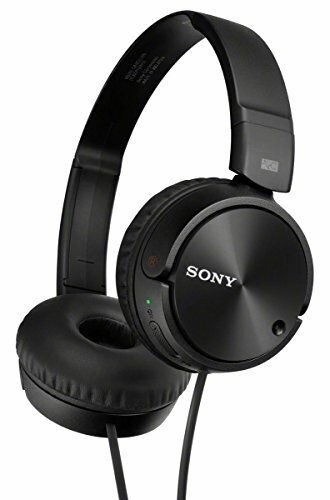 From one of the leading manufacturers of noise-cancelling headphones, the Sony MDRZX110NC have a truly elegant all-black design and a generous 30mm neodymium driver for full fidelity in sound reproduction. A single AAA battery (not included) delivers up to 80 hours of standby time. Designed to be completely folded up for ease in storage or transport, the Sony MDRZX110NC deliver a full range of frequency response between 12 and 22,000 Hertz for a truly high-fidelity listening experience. These stylish headphones from B÷HM come in your choice of space gray and black or brown gold. 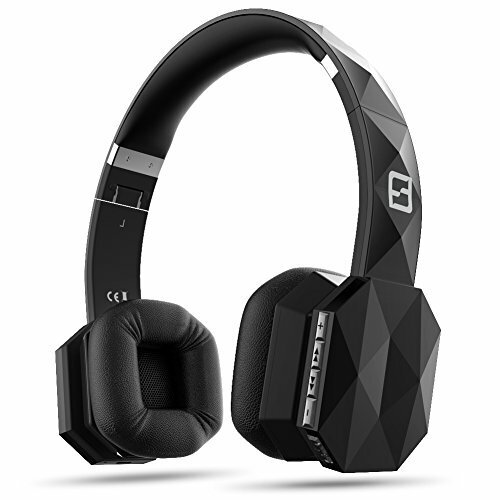 Using built-in Bluetooth 4.0 technology, the B÷HM headphones can be connected to your favorite television, video game system, or mobile device for up to eight hours of active noise-cancelling listening enjoyment. The B÷HM headphones feature cushioned ear pads and a foldable headband design that make listening on the go simple and comfortable. Featuring a classic black over-the-ear design, the CB3 headphones use active noise cancelling technology to dramatically reduce ambient noise from airplanes, offices, gyms, and other noisy environments. The built-in 40mm drivers deliver a full spectrum of high-fidelity sound while the Bluetooth technology onboard makes pairing with your favorite computer, phone, or other device simple and easy. The CB3 headphones come with a carrying pouch, micro USB charger, 3.5 mm audio cable, and an adapter for use on airplanes. 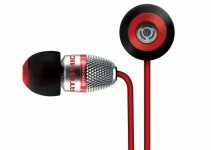 Using an innovative in-ear black and red design, the Fleeken headphones feature active noise cancellation technology. The Fleeken headphones come with a built-in microphone that also cancels out external noises, allowing for a more interactive and immersive listening and video game playing experience. The Fleeken headphones ship with three different styles of ear hook and ear plug for increased comfort while the magnet attraction design allows the cord to comfortably hang down like a necklace, reducing the risk of becoming bunched up or tangled. 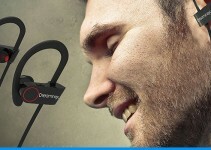 The Fleeken headphones come with an in-line controller to allow users to receive calls when paired with a mobile phone. The Fleeken headphones come with a user manual and a micro USB charging cable, delivering up to five hours of continuous listening pleasure on a single charge.